Who I’d like to see more of: Anna the pyromaniac, I mean fire, Mage. But I’m also scared of her! 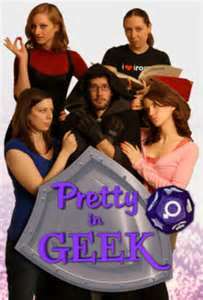 Moral of the Story: drinking and role-playing DO NOT mix! I posted this on my Facebook page on May 3, 2011: These are the first three of what I hope will be a very large series! 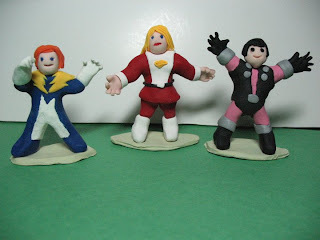 They are: Lightning Lad, Saturn Girl, and Cosmic Boy-the original 3 members of the Legion of Super-Heroes! I’ll post more as I get them completed and shipped! I love doing commission work, because it’s nice to know I’m making something someone wants, as opposed to making something I hope someone wants! So if you’re reading this and you’re interested in a particular statue, please e-mail at the address on this page. This week I am going to attempt to write a short review of a really neat webcomic called Mr. Morris. I don’t want to spoil all the laughs from the series, so I’ll try not to write too many details about the comic, while letting you get the idea of why I like it. Mr. Morris is a comic about a teacher. It covers such interesting content as being a new teacher on staff, getting to know your students, and basic teacher survival. I know a bit about these things because, like Mr. Morris I am a teacher. (It says so in my biography found on this page, so you know it’s true!) Mr. Morris creator Rick Brooks (Also a teacher, which I know by checking his profile) hits these topics in a way that has me laughing while muttering “I have so been there!” There are currently 16 strips up on webcomicsnation, so go check them out! People have asked me if I incorporate my teaching experiences in my comics, but my typical answer is that I don’t do “gag strips”, so it isn’t really an issue. Well, I’ve done a very limited number of gag strips, anyway. I do have a school-related story developing in my current Mutant Elf webcomic, though, and it’s bound to relate somewhat to my teaching experience. Thus ends another week of commentary from this teacher! Can I write a full blog post about a three minute video? When I’m truly inspired I can! 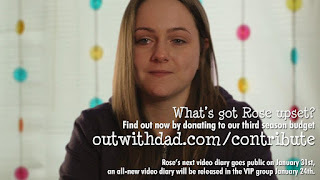 I recently watched the third “Rose’s Video Diary: Changing Relationships” post at Out with Dad, and I was really amazed at how much amazing drama could fit into such a short time. 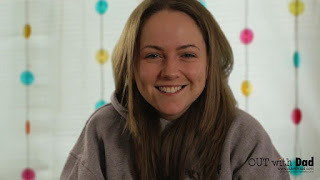 The first two of Rose’s video diaries were nice, but were pretty much establishing the idea of the diaries and summarizing how Rose arrived at her current status. The third episode really did a lot more in moving the story forward, something I was not expecting. Again, writer/creator Jason Leaver continues to surprise me and prove just how well he writes his well-crafted characters. Also, I simply must praise Kate Conway for her perfect portrayal of Rose! As much as Jason is the visionary Kate is the vessel through which Rose comes to life! I have some wonderful moment when watching her that I forget it’s all just an act, and that Rose isn’t a real person. Kate has mastered the character and it’s impossible at this point to imagine anyone but her in the role. Allow me to digress a bit and compliment Ms. Conway for her courage in taking on this role. I think it’s very courageous to take on the lead in a show like this. Though it isn’t as rare for an actor to take the role of a homosexual character as it once was, it’s still a big deal. By this I mean that being the public face of such a project opens you up to a lot of criticism. I’ve read some of the negative comments people leave on websites, and I know how some people feel about these issues. 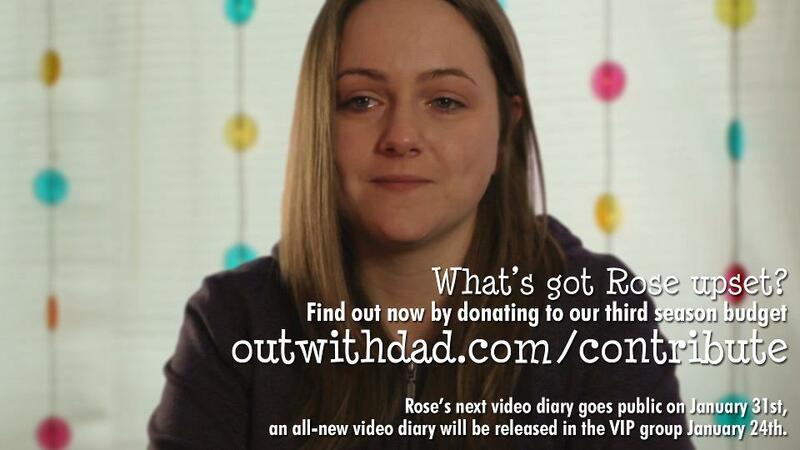 It’s one thing to (like me) support the LGBT community from afar, it’s another to create such a project as Out with Dad, and it’s quite another to be THE face that’s instantly recognized with the project. Kudos to Kate! But on to the actual video diary I set out to talk about. I was quite surprised that Jason moved the story past the school dance during the “off season”, as I thought that would be an interesting moment during season 3. Rose still seems a little unsure of her relationship with Claire, but she showed her unselfish side by insisting Claire go to the dance while she stayed home. (I tend to think “missing a stupid High School dance is no big deal”, but it obviously matters to Rose.) I have a vision of Claire giving Rose a private dance to make up for her missing the school event… It also seems nothing’s changing between Vanessa and Ryan, which of course continues to bother Rose. The most interesting comments in the diary entry, to me, is Rose ruminations about Kenny and Alicia. Is Rose just jealous because Kenny is spending so much time with Alicia, or is Alicia going to end up a real problem? Rose thinks Alicia is nosy and stuck up, but Rose wasn’t privy to the conversation between Alicia and Vanessa, which seems to show that Alicia’s motivations are to make everyone happy. However, what if Alicia’s friends become antagonistic towards Rose-perhaps because of Rose and Claire’s friendship? 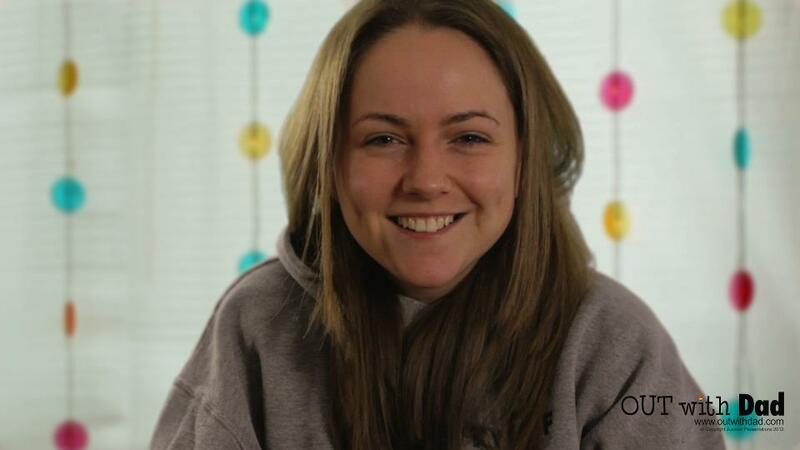 Will Alicia stick by her friends or reject their homophobic views? Would Kenny reject Alicia if he finds her views less inclusive than his, or will he be blinded by her attractiveness? Whew! I think that’s enough for now. Like I said, there’s a lot of interesting events for a three minute video!